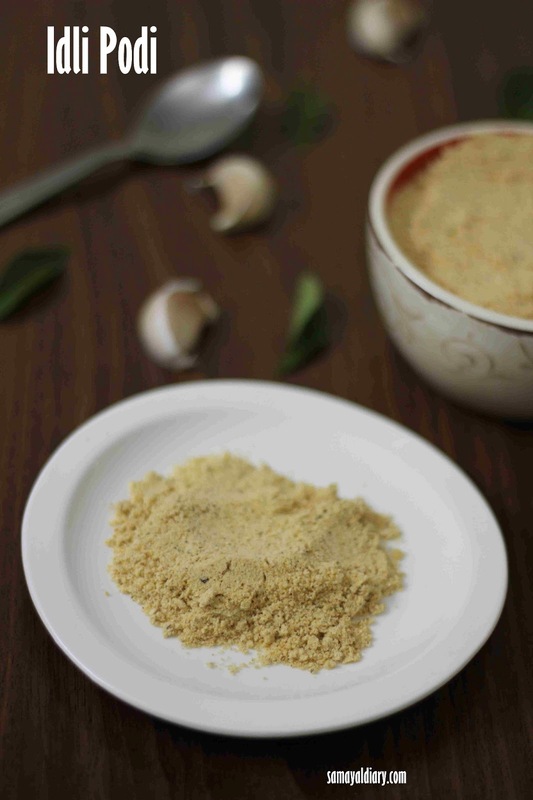 One of the best accompaniments to Idli is Idli Podi, meaning Idli Powder. It is nothing but a mix of many lentils. It is mixed with ghee or oil and served with Idli or Dosa. It is prepared in every south indian household and it is served alone or along with chutneys especially, coconut chutney. Though ingredients for this recipe is quite similar in different regions of south, their ratio differs from home to home. My Mom's Idli podi recipe is very famous; whoever comes to our home takes back a box of this podi. In a Pan, dry roast each lentils separately. Dry roast till some of the lentils change their color slightly to light brown. Set aside to cool. Now, dry roast Curry leaves, Garlic cloves and Chillies together. Set aside to cool. Grind everything together in a mixer once cooled. Make sure the mixer and the pan are dry. Make sure the ingredients are not burnt while frying. Grind till the mixture transforms to a fine powder. (It will not be as fine as mill ground powder. )But over grinding makes lumps in the mixture. Store in an airtight container. My Mom uses only 1/2 cup of sesame seeds and 1/2 to 3/4 cup of Chillies. If you are looking for hot Idli Podi, (thought not very hot as store bought Idli Podi) try this ratio, you will definitely love it. But you have to prepare it again as this would vanish soon if served with Idli and Dosa often. Linking this recipe to Vegan Thursdays. 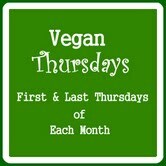 Vegan recipes are shared for Vegan Thursdays. This happens every first and last thursday of every month. To know more or join, click here. Very handy and useful podi..My pantry will always have this idli podi,my all time favourite. 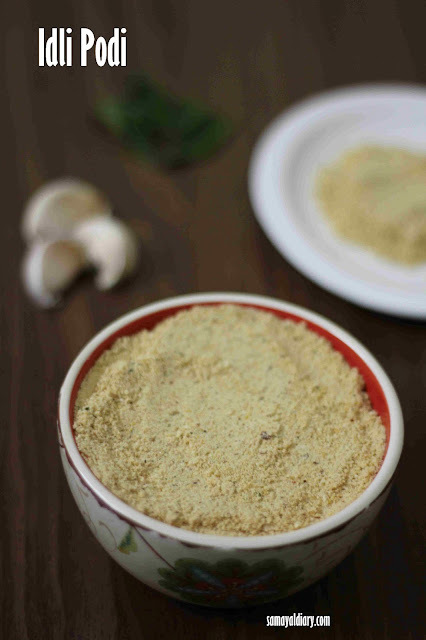 handy n lovely podi, must in my pantry...recently i too clicked few pics to post it on my blog..ur version sounds flavorful...nice clicks! Very healthy podi.. superb clicks!! Hi, we are north indians who love south indian food very much. Idlis are our favourite. We never tried with idli podi. Now that I have this lovely recipe, will try out soon. must have in my kitchen.... so perfect with idli!! !